I am grateful to Suresh Chandvankar for his generous help with the above. Any additions or corrections to the list above are most welcome. Prof. Narayanrao Vyas, the younger brother of Shree Shankar Rao Vyas (1898-1956), was born in Kolhapur in 1902. At the age of nine years, he joined the Gandharva Mahavidyalaya at Lahore where his elder brother had already joined the 'Gurukul' system of music education initiated by Pandit Vishnu Digambar Paluskar in 1901. After completing the education under the guidance of Pandit Paluskar, the two brothers came to Ahmedabad in 1922, where they began to teach in the local Gandharva Mahavidyalaya branch. In 1937 they came to Mumbai (Bombay), and opened a music school at Dadar, which they named the Vyas Sangeet Vidyalaya. This was the period when "talkies" were in the process of becoming well-established in India, and Bombay was one of the hubs of the film industry. Shankar Rao Vyas took the opportunity to enter the industry as a music director. He composed music for over fifty "talkie" films, in Marathi, Hindi and Gujarati over the period from 1937 to 1955. Narayan Rao Vyas, however, did not take up a career in the film industry. He chose to remain a teacher and a concert performer. He used to sing on Radio too. He toured and traveled extensively, and sang in a number of prestigious music conferences and concerts throughout North India. He was one of the most popular and sought-after vocalists of his generation. In order to cash in on his popularity, the Gramophone Company (HMV) in Mumbai invited him to record for them in 1929. From 1929 to 1955, he cut over 150 records in the 78-rpm format (i.e. 300 songs), each of three to three-and-a-half minutes duration. These discs are 10/12 inch in diameter and are made of breakable shellac. These records were re-issued subsequently on 'The Twin' labels. 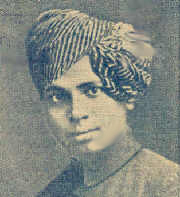 The recorded songs are in Hindustani, Marathi and a few are in Gujarati. Narayan Rao sang ragas using Marathi bandishes (some composed by his brother Shankar Rao), and bhajans. Sakhi Mori Rum Jhum (Raga Durga), Neer Bharan Kainse Jaun (Tilak Kamod), Tuma Jago Mohan Pyare (Bhairav), Neer Bharan Main Chali Jaat Hun (Malkauns), Balam Mori Suni Ho (Mand), Bahut Sahi Tori Sanvariya (Bhairvi). He was very active even in his old age. During the LP/EP era, he cut couple of records of longer duration, one of which is a duet with his guru-bandhu (colleague) Prof. Vinayakboa Patwardhan, in raga Malgunji.